Our Bankruptcy Law department is comprised of a multidisciplinary team who are involved in the restructuring operations of companies that are in situations of either solvency or insolvency. We are professionals dealing with preventive advice, consultation, strategy and legal action and anything you may require. Additionally we have extensive experience in the planning and implementation of bankruptcy proceedings. On the part of the debitor, we design collection and assessment strategies in pursuit of their claims in situations of insolvency. 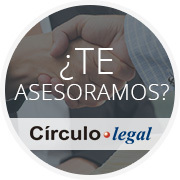 We enact real or financial guarantees, including the implementation of shares and conduct negotiation with the bankruptcy administration in order to maximise the returns or recoverability of credit. On the part of the debtor we analyse the solvency situation to determine the feasibility of the tender. outcome in the shortest time possible, or if necessary, to go ahead with legal proceedings. We pursue the debt recovery of credit and money, even in the case of disappeared companies or bankruptcies – no matter if claiming to the administrators in the exercise of the liability and not disregarding the criminal case.